SME GROUP, founded in 1974, is an High Technology company manufacturer of electronic controllers and related products for application in battery powered vehicles. SME GROUP has vast experience in electromagnetic, mechanical and control technologies and it is a Pioneer in motor control thanks to a 20 year experience in AC field oriented control technology. SME GROUP provides intelligent and innovative solutions to satisfy market requirements, achieving worldwide customer satisfaction. 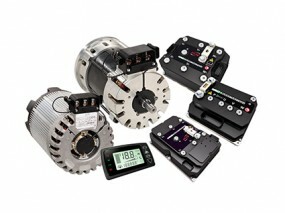 SME controllers provide advanced control of AC induction motors for traction or pump functions of any electrical vehicle working with speed or torque control algorithms. 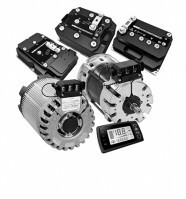 SmartMotion is an integrated controller which can manage multi-function and fully configurable I/O pins for any I/O functions like digital and analogue inputs and digital and analogue outputs, capable of driving fans, relays’ and hydraulic valves’ coils, contactors, negative brakes and many others inductive/resistive loads. It is fully suitable for counterbalanced and warehouse trucks, all heavy-duty applications as tow tractors, cleaning machines or air platform, any kind of passengers vehicles or utility vehicles as electric scooter or golf or city cars. With controller ratings from 24V to 120V and from 75A to 750A we cover just about any application demand.